The tiny Alpine village of Lontan is the perfect mountaintop retreat for assassins who need a place to relax, recover, and hide. Villagers welcome the quiet, low-profile professionals and their cash-heavy wallets. Daniel Rorque, chief of the one-man communal police corps in Lontan, doesn’t mind the lethal visitors spending time and money in his jurisdiction as long as they leave their business at the base of the mountain. When a fresh corpse is discovered, Rorque is launched into an investigation with no clear answers and too many very qualified suspects. Caught between assassins who will protect their sanctuary at any cost, villagers who may secretly resent the professional killers, and the mysterious, brutal history of Lontan itself resurfacing, Rorque may discover too late that no one can be trusted. Where do I even begin!? Well, there's the never-ending vivid action that takes you from suspense to blitzkrieg in just one sentence. But even better than the action surrounding the characters, is the people themselves. So many times I've read a novel where the main character or supporting characters make dumb decisions, they fall into a trap and thusly the plot is moved along. Not here. The team at the heart of this novel, as well as the opposing figures, are smarter than your average bear, and are in a constant race to keep one step of each other, which is nearly impossible when the deceptive nature of the town and those in it keep you second guessing. Never predictable, the pages fly by when the next chapter promises another twist or turn.Oh yeah, and it's freaking hilarious at times.And I know you've heard it before, but the town they are in is it's own character. It makes you want to move there and at the same time run for your life. Where Do Assassins Go On Vacation? I read this story without having read the product description or any reviews, but having enjoyed author Jeremy Brown's Woodshed Wallace series I was comfortable giving it a chance.Turns out it was right up my alley. I'm a sucker for a good assassin story (such as Barry Eisler's John Rain series) and this story has assassins galore. Turns out there is a quiet mountain village where assassins go to relax. All is well there, until a headless body shows up. That's when things get interesting for the local policeman.Despite other reviewers describing the action as "non-stop" that really isn't the case. And that's a good thing. The 1st half of the book is spent setting the stage and introducing the players. That way the reader actually cares about their fates once the bullets and daggers start flying. And fly they do, the 2nd half of the story is action packed. In fact, the story feels kind of short because once things get going the story has so much momentum the reader is just drawn along until the end.Additionally, the characters are well written and distinctive. Well, maybe a few of the assassins who play minor roles get glossed over, but the main players are have distinctive voices and are, above all, interesting. I especially enjoyed the relationship between the protagonist and his assassin "friend" Armond. Some of their banter was pretty funny.In short: This action story features solid character development, good pacing, an exotic locale, some humor and a bit of a twist. Really enjoyed reading my first novel by Jeremy Brown! Was easily caught up in the intrigue and didn't want to put the book down. Who would have thought I'd be cheering for assassins? Will definitely be checking out his other books. 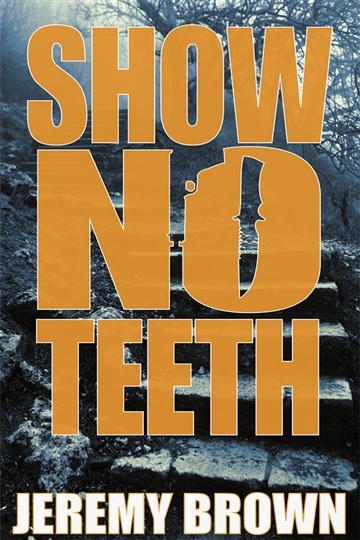 The best way to rate this fourth book from Jeremy Brown is to warn Elmore Leonard, John Grisham and Clive Cussler to watch their backs because Show No Teeth is an exciting rival, a great read, and a can't put down book. I started it one evening, read until past midnight, resumed at 5am and read until finished. The plot is exceptionally well laid out with a major unexpected surprise preserved until the end. Jeremy does a wonderful job of describing an exciting, secluded mountain hideaway with a high class brothel connected to a church via tunnels and secret passageways carved through rock centuries earlier. The scenes seem to come alive creating stark mental images and visualization. There is almost non-stop action and a great, smooth flow from one scene to the next with seemingly insignificant details that ultimatley do connect in aha moments for the alert reader. And the one-liners are adeptly inserted at opportune moments. Jeremy skillfully creates many complex situations for the lead characters with apparently no way out and then unveils the unexpected. A final review --- Show No Teeth will make an exciting, fast moving, action packed, highly entertaining movie and one that I would not miss. I am already mentally selecting the actors for the various character roles. This is a must read!!!!! !